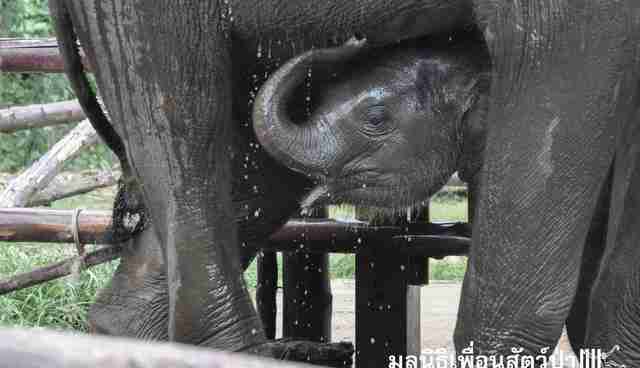 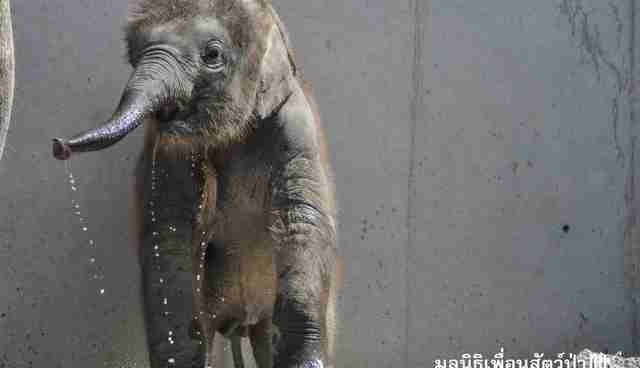 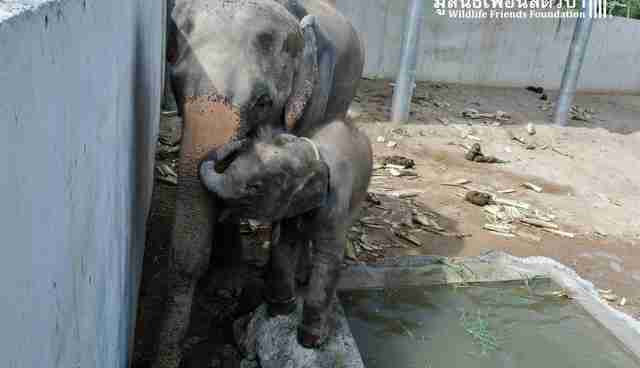 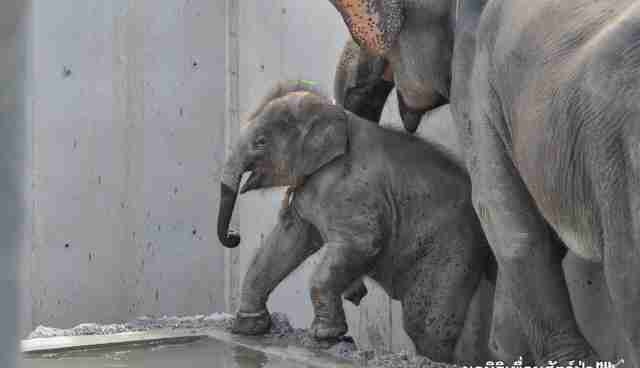 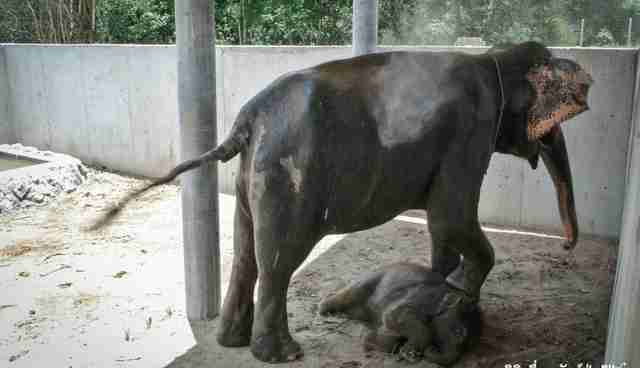 One of the saddest things about elephants in captivity is how often mothers and babies are torn away from each other. 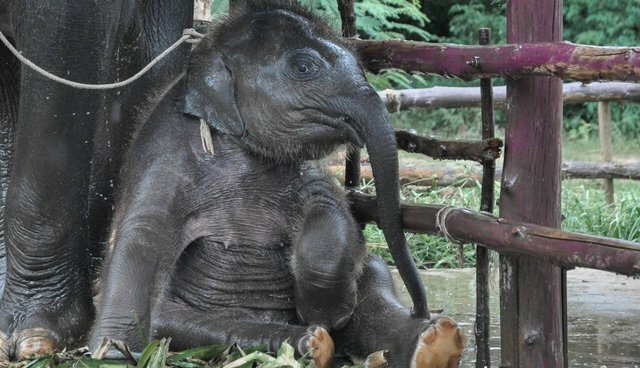 But this lucky family escaped that fate - and their rescue was captured in a stunning series of photographs. 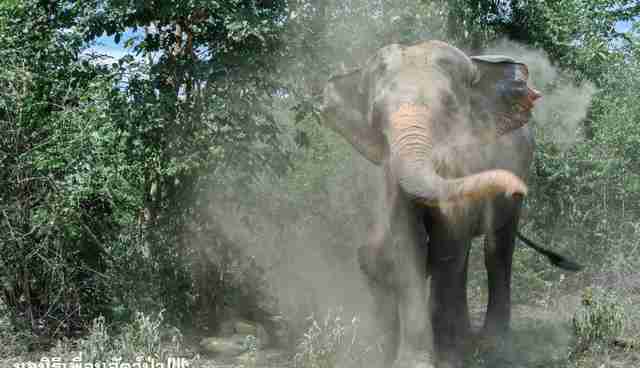 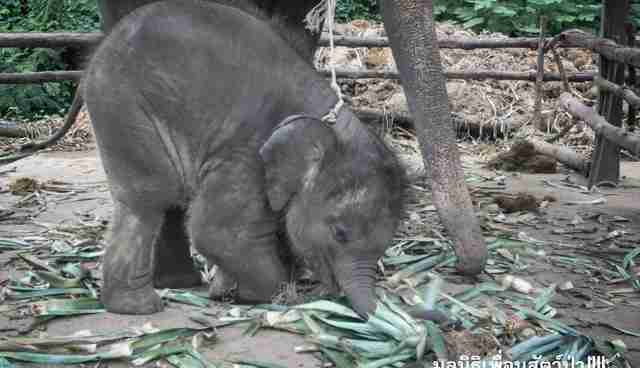 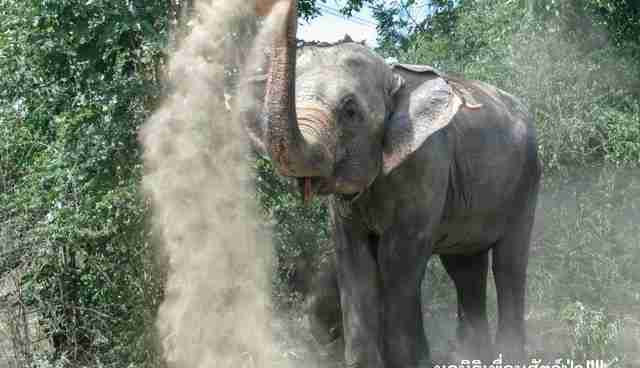 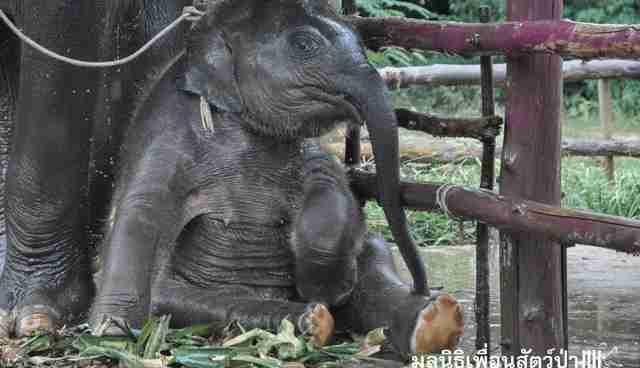 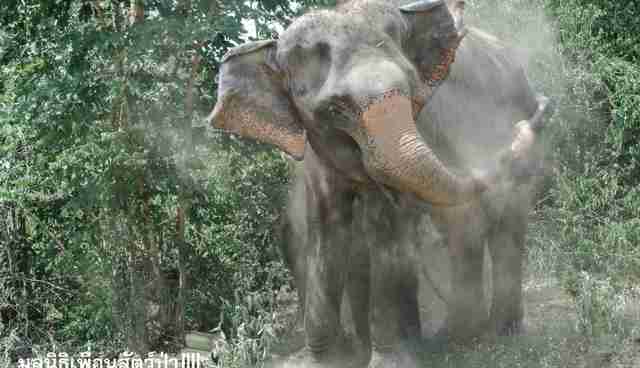 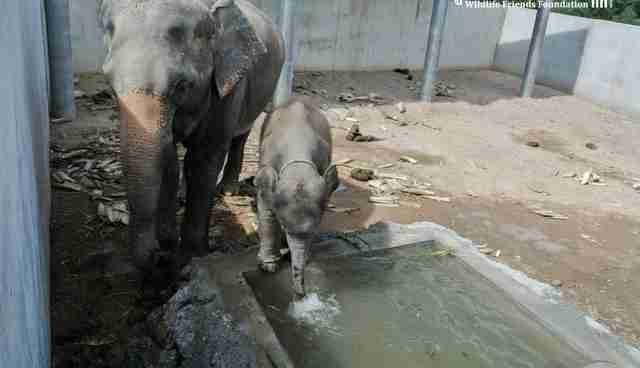 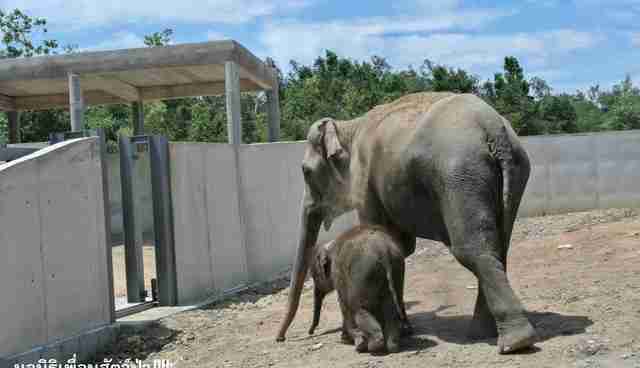 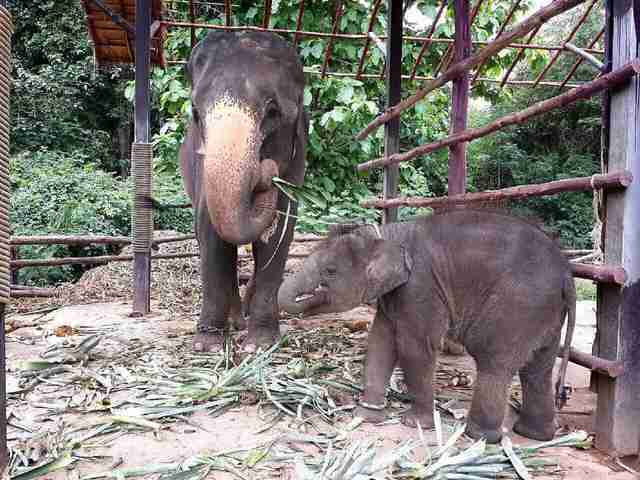 Until recently, Apple and her daughter Princess lived at one of the many Thailand elephant camps that cater to tourists by offering elephant rides or selling elephants to be used at similar attractions. 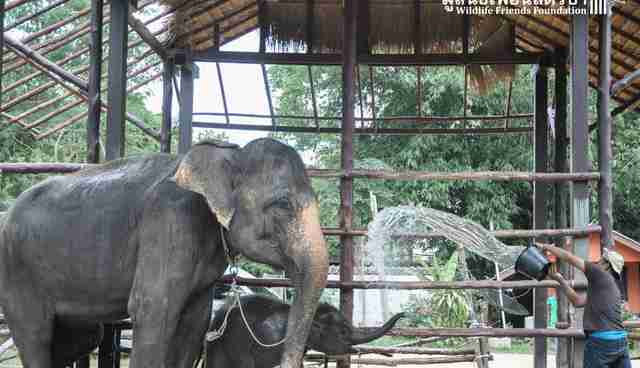 The pair lived in a small enclosure, with Apple tied to her stall by a heavy chain. 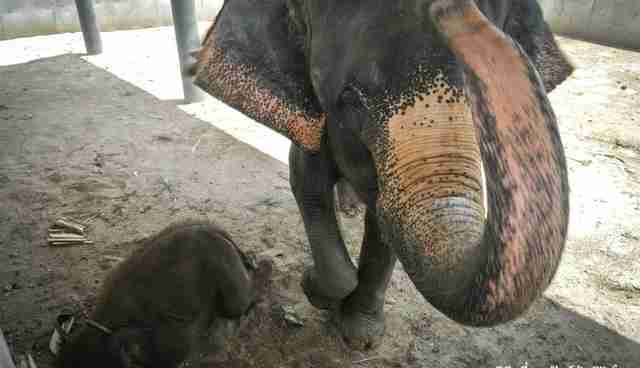 Princess had a similar metal cuff around her front foot. 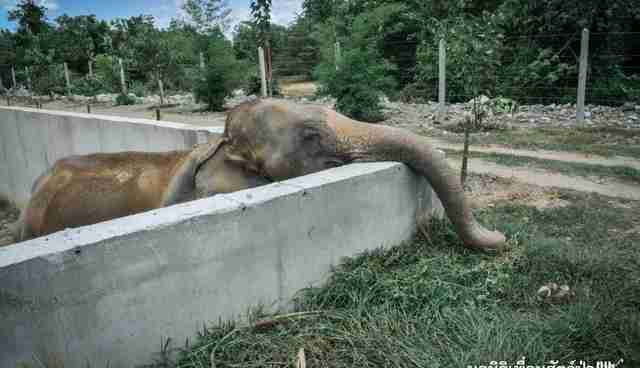 Although they at least had the comfort of each other, that wouldn't last long. 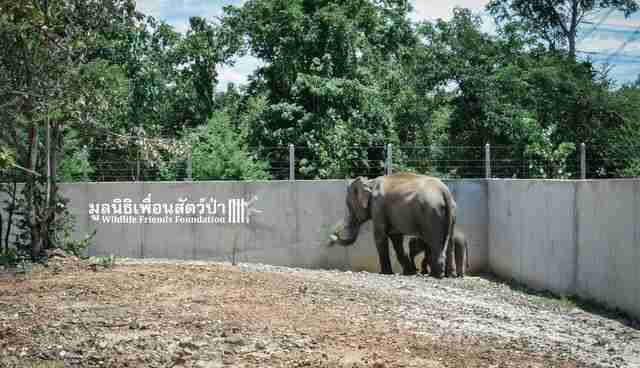 Local rescue group Wildlife Friends Foundation Thailand (WFFT) learned that Princess had been put up for sale - at only 8 months old. 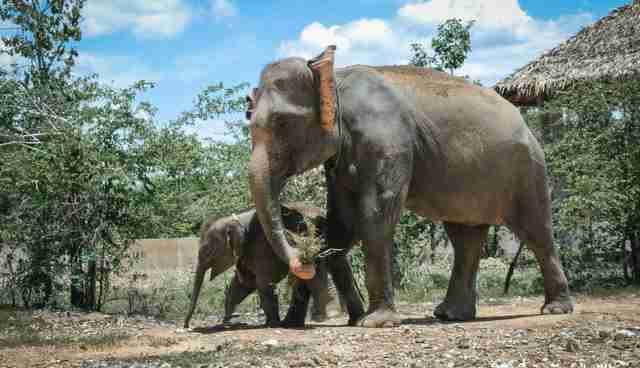 Elephant calves are completely dependent on their mothers for their first few years, and in the wild a female calf will stay with her mother for her entire life. 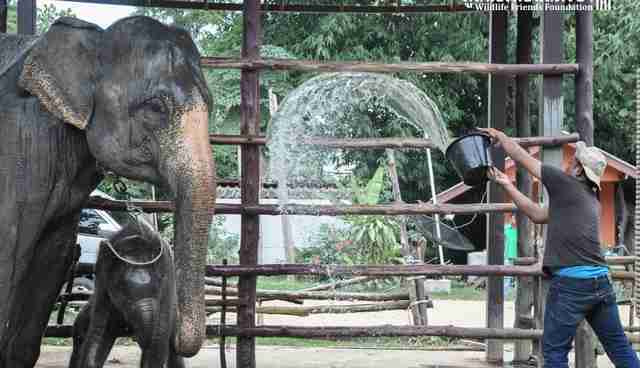 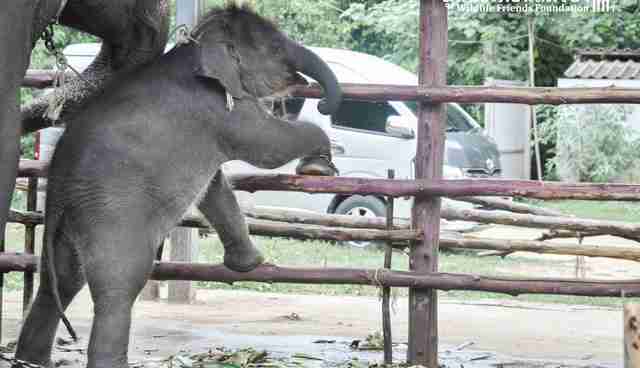 Once sold, Princess would have faced a bitter life of captivity after being "broken in" through hunger, sleep-deprivation and physical abuse for use in Thailand's tourism industry. 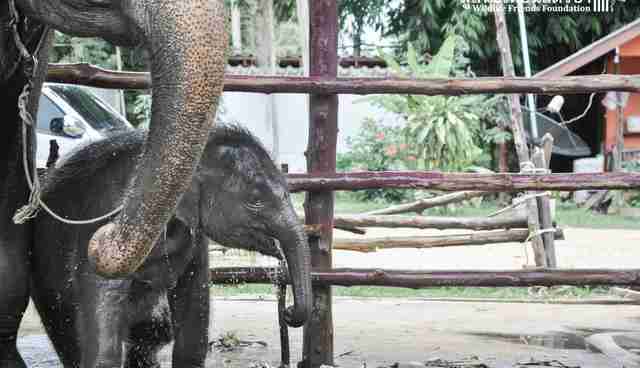 Fortunately, a generous donor stepped in and offered to cover the cost of transferring Apple and her little baby to the safety of the WFFT sanctuary. 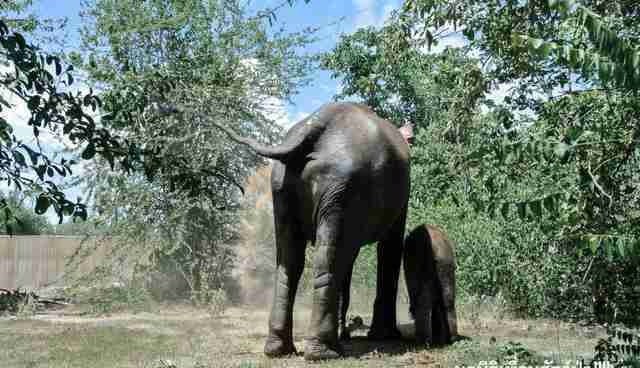 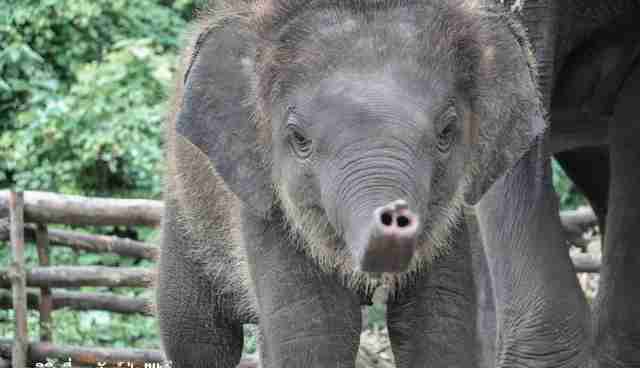 Rescuers arrived last week to relocate the elephants, receiving a kind greeting from the small family. 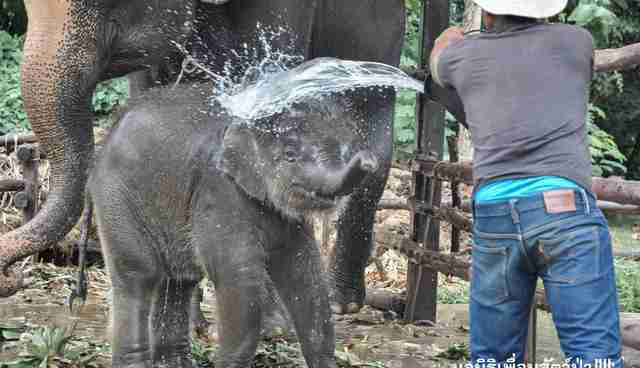 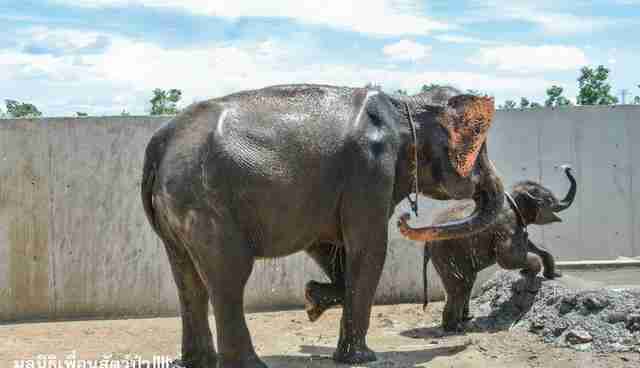 The rescuers returned the welcome by treating Apple and her daughter to a cooling bath before moving them. 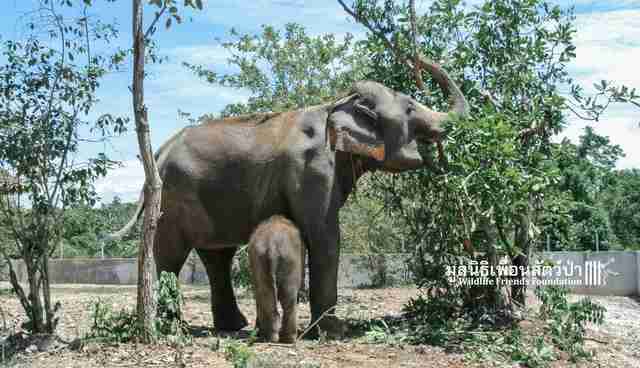 The elephants appear to know something exciting is happening, and Apple's gentle love for her tiny daughter is readily apparent in the photos. 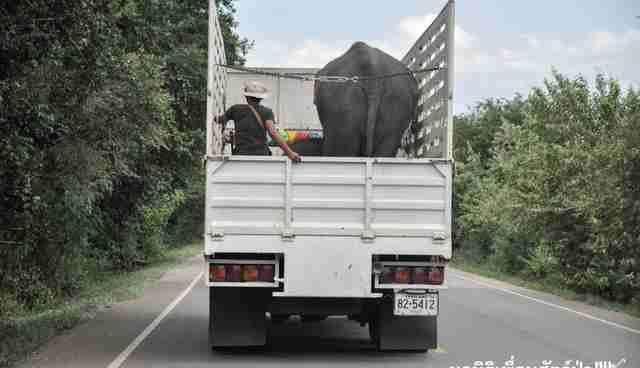 The rescuers loaded Apple and her daughter into a truck, and set out on the journey to their new home. 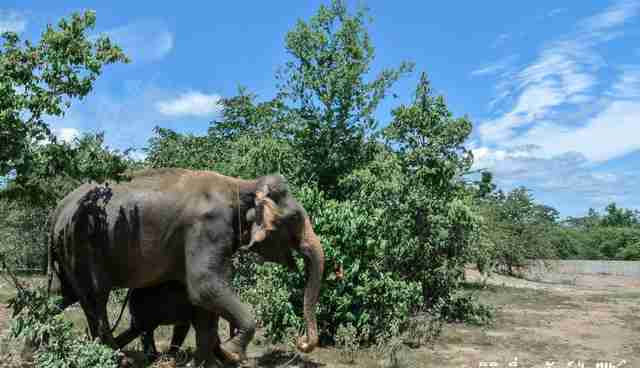 They arrived at WFFT on Friday, and, while they've only seen part of the sanctuary so far, the group reports that they're settling in wonderfully. 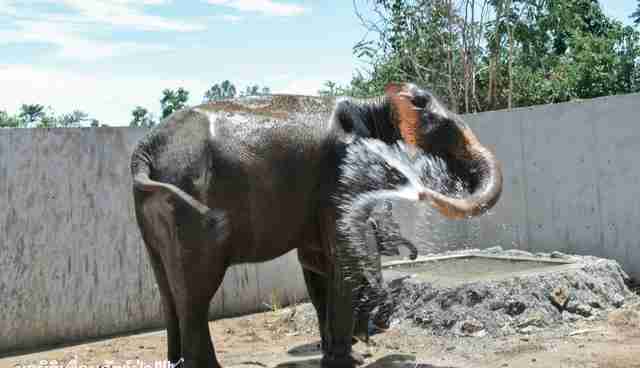 Most of all, they just seem happy to be together. 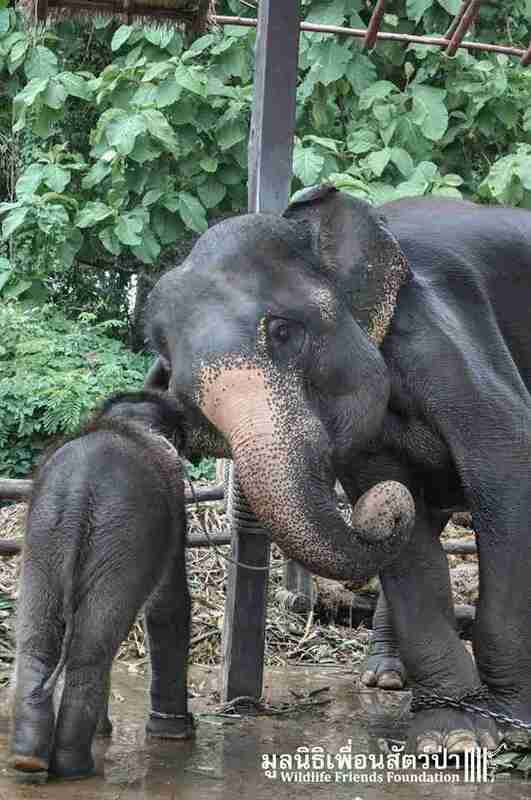 WFFT will spend the upcoming days gently introducing Apple and Princess to the rest of their new home. 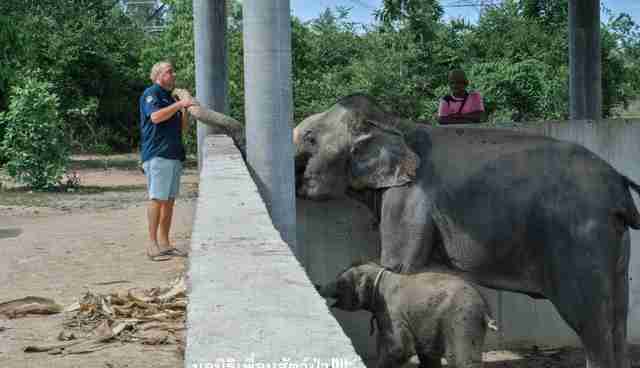 They've already met one fellow elephant - a gentle, almost-blind female named Thongdee - and "immediately accepted her presence," the rescue said. 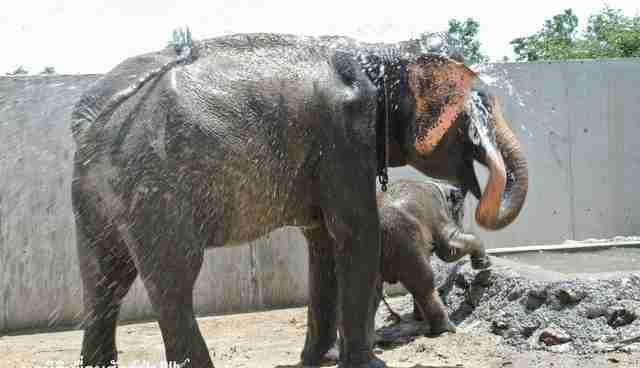 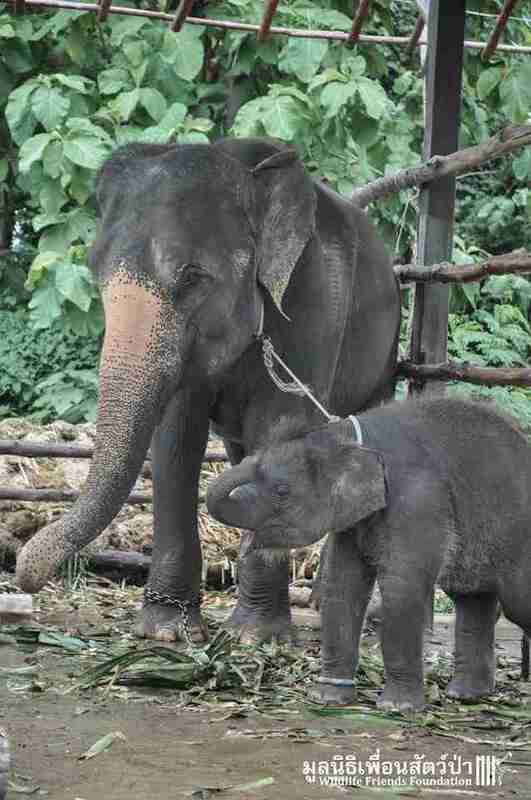 And while the chains are being removed, WFFT noted that they plan to keep Princess roped to her mom for the first few days; the little calf has a habit of running excitedly after everything she sees when they leave their enclosure, and of running away from cows, whom she reportedly finds terrifying. 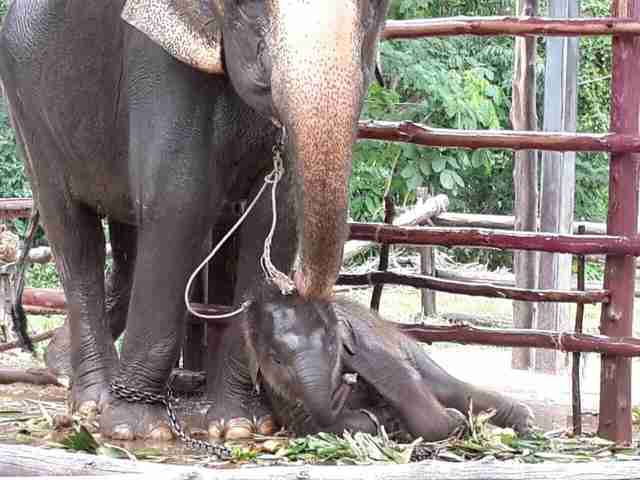 But whether or not Princess is on a physical leash, this mother and daughter will be linked forever. 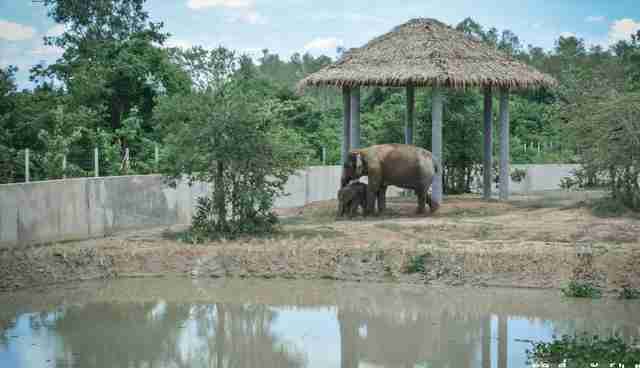 Finally freed from the tourism industry, they now have a chance to live out their lives together - as nature intended. 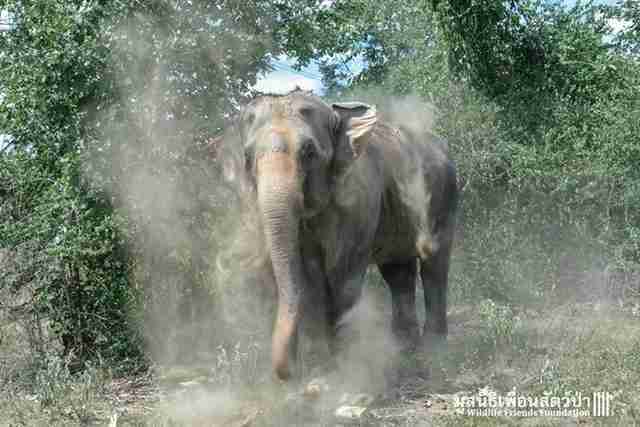 If you'd like to donate to their care and that of other animals like them, you can make a donation to WFFT here.